On Monday, Nebraska announced that defensive line coach Mike Dawson would be moving on to take a job in the NFL with the New York Giants. Dawson will coach the outside linebackers in New York. “Coach Dawson informed me late last week he had chosen to accept a coaching position with the New York Giants," Coach Scott Frost said in a released statement. "Mike has been a key part of our staff the past three seasons at Nebraska and UCF. He is a man of great character, an outstanding teacher, relates well to players and is a tremendous asset for any coaching staff. 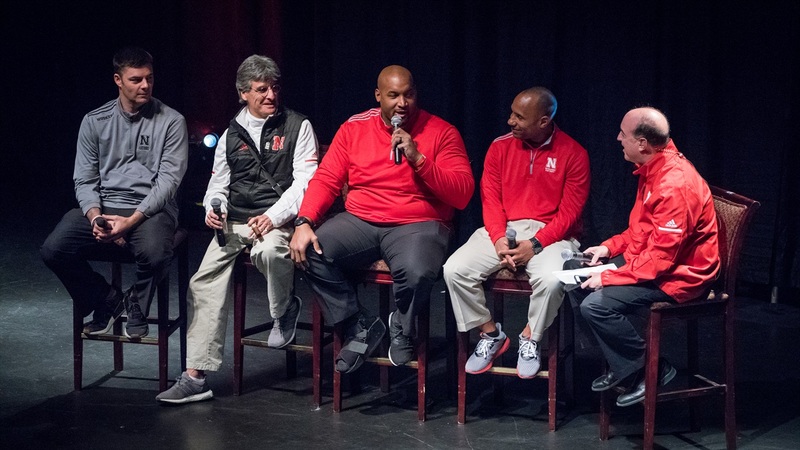 While the search for Dawson’s replacement has surely already been underway, it is worth noting that he was well-liked and respected by his current players at Nebraska and the players he encountered on the recruiting trail. During the 2019 recruiting cycle, Dawson was praised by Frost for his hard work and dedication in helping to land 4-star defensive end Ty Robinson, who Dawson had a strong relationship with. Defensive ends Mosai Newsom and Ethan Piper also talked at various times during the cycle about getting to know Dawson. The now former coach also spearheaded Nebraska’s efforts in New Jersey, so he was the first contact for running back commit Rahmir Johnson. These types of situations where coaches move on are bound to happen. One of the big benefits of the recruiting strategy that Nebraska uses by having coaches recruit regions instead of positions is that prospects have more than one main point of contact at the school. In Robinson’s case, Dawson was going to be his position coach but quarterbacks coach Mario Verduzco is his area recruiter. In Newsom’s case, Erik Chinander is the lead recruiter for Iowa. So, the “team” approach ends up helping if and when coaches decide to move on. Now we wait to see where Frost will turn next to lead the defensive line in his first assistant coach hire since returning to Lincoln. >> Jermaine Hamilton, a 2021 linebacker from Missouri, is eager to get back to Lincoln. >> The Huskers offered another 2021 quarterback, Dematrius Davis, from Houston, Texas. >> Nebraska made the initial cut for 4-star 2020 linebacker Brennon Scott from Bishop Dunne High School in Dallas. >> Nebraska added a transfer punter from Michigan State. >> It was announced that all assistant coaches (plus Zach Duval) received contract extensions. >> The Spring Game has a kickoff time and will be televised by BTN again. >> Huskers running back Maurice Washington is reportedly facing criminal charges in California.